I bought a bun the other day from Waitrose, it intrigued me and looked like it had the right amount of glossy sugar coating to fruit. It was called a Marlborough Bun and to all intents and purposes looked like a rock cake. I bit into it to find a delicate doughy texture combined with a zingy heavy on the lemon candied peel filling, along with cherries and sultanas. I then became addicted to them, I’m putting my cravings down to SAD, Seasonal Affective Disorder. I know that I don’t have the severest form of this disorder but at the moment I am feeling very much like I do come the end of February, Pllleease can we have some sun, and soon. I couldn’t find a recipe for this on the net but after much research realised that their origins must be from the Bath Bun. I’ve made one batch, I need to tinker with the recipe, its not sweet enough (according to the boys) and it needs more fruit. But I am on the right track. I’ll post the recipe when I get it right, but until then may I present my first attempt at making Marlborough buns. Summer came to the plot. They look absolutely delicious!! I shall look forward to the recipe! Well your first batch looks pretty good – from your description they sound a little bit like a not rolled up Chelsea bun – looking forward to a recipe in due course! 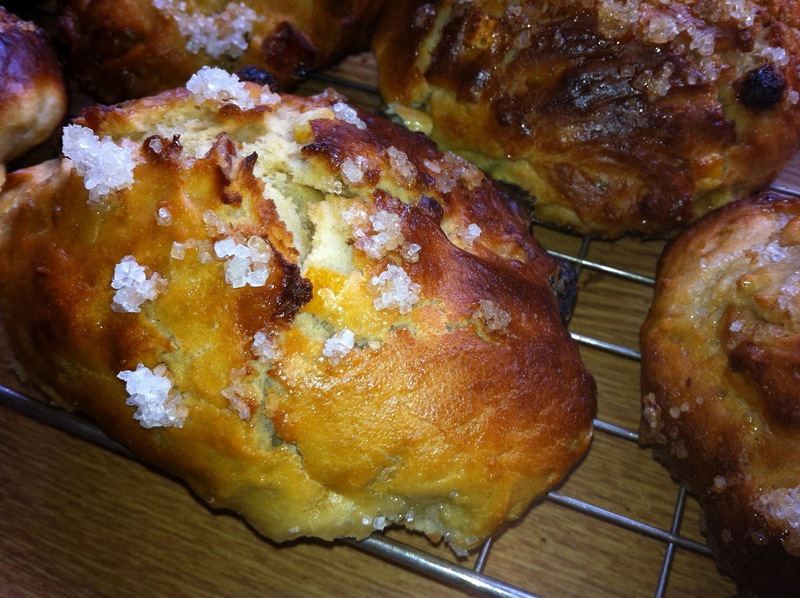 How’s progress with the recipe for Marlborough buns? I appreciate your interest, and would love to be able to make them.